There’s only one time of year when any post outranks my post on how to get your check-in fee back from RyanAir, and that’s late September . . . Seems I’m not the only one who wants to know how to save serious cash while looking like a native at Germany’s biggest festival! I’m headed there this weekend myself and will be sporting my homemade dirndl, but this post outlines where to find the best bargains on Trachten for the beerfest. + Why Carry your Own Heavy Luggage? are you going? can y take me? Have a great time, I did (From what I remember) last year! Nomadic Matt — you’re welcome to come (and cross #29 off your life travel list), but it’s a long way from Thailand, isn’t it? 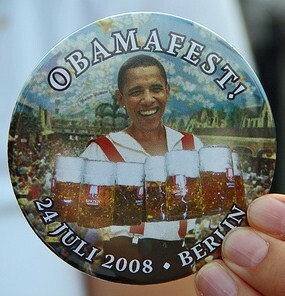 I wish that I were headed to Oktoberfest. I’ve been meaning to get back to Germany, and that would be a great excuse. Plus, how can you lose when you’re practically swimming in good food and beer? Happy New Year 2018 on Fresh Content?! Currently on the road and would like to see your travel blog featured here? Shoot me a message with your link and travel details!